Scrum, actually, has been around for a while. 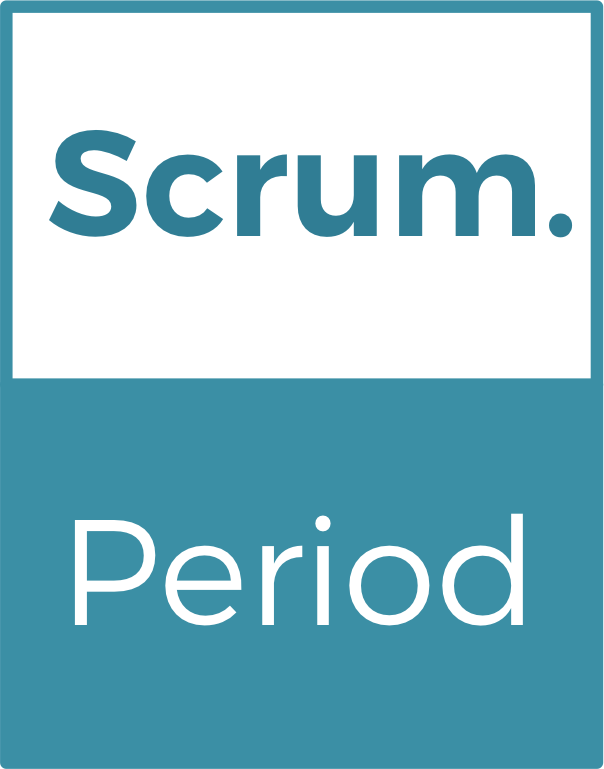 Scrum emerged in the early 1990’s through the work of Jeff Sutherland and Ken Schwaber. 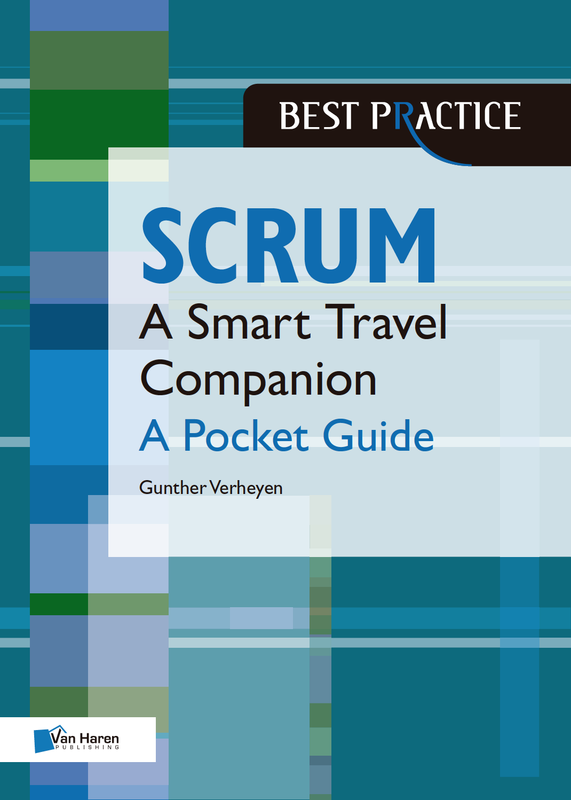 They packaged their practices into a cohesive set of rules and roles and named the entirety „Scrum“. The term, actually, was inherited from the ground-breaking 1986 paper The New New Product Development Game. The reference to the game of rugby reflects the importance of team engagement. Scrum, actually, has had a stable core since its first public presentation in 1995. The essential definition of Scrum was codified in the Scrum Guide in 2010. This definite body of knowledge describes all parts of Scrum, and the rules that tie them together. Scrum is defined as intended and designed, i.e. a cohesive set of rules and roles implementing empiricism for complex product development. The rules and roles described in the Scrum Guide gain full clarity when read as an expression of the Agile values and principles. Scrum, actually, is intentionally kept low prescriptive. Scrum sets the frame for people, teams and organizations to create, maintain and sustain complex products. Scrum does not replace people’s intelligence and creativity, merely guides the work. Scrum’s basic rules are immutable. Flexibility comes from the zillion variations to apply the rules, selected and tuned to context and circumstances. Hacking the basic rules of the framework breaks the cohesion, and disregards one or more principles and foundations upon which Scrum is founded. Hacked versions and implementations of Scrum are possible. Isolated use of Scrum’s terminology or practices is possible. They might work. They might be fun. They are not Scrum. Scaled implementations of Scrum don’t change the fundamental rules and roles of Scrum, nor the underlying principles. They only require different tactics. Instances that change the core of Scrum are not Scrum. Scrum, actually, in itself is not the purpose. Scrum is a tool. Scrum enables people to live the art of the possible, to make the most out of every single day constrained by their means, to maximize the value of their work in the face of uncertainty. Scrum can wrap many development and organizational practices, tools and techniques. Scrum creates the capability of continuous adaptation in a environment of constant change, regardless whether that change is caused by our own will or by external turbulence. Scrum turns complexity from a threat into an asset. Scrum, actually, propels agility through releasable Increments of software. A releasable Increment is available by the end of a Sprint or sooner, not later. A Sprint takes no more than 30 days, and is often shorter. Frequently an updated, improved version of software can be made available to its users and consumers. Feedback from actual use can be gathered to drive changes, improvements, enhancements. Assumptions are turned into learnings, ultimately into a pivot if required. Scrum has no meetings, actually. What we call ‚meetings‘, even in the Scrum Guide, are planned occasions at which people meet, where meeting (the activity) takes place. Scrum’s meetings are not about reporting, status, bureaucracy, spilling ink, documenting the past. Scrum’s meetings have a purpose. Scrum’s meetings are about collaboration, discovery, opportunities, conversation, ideas, constructive disagreement, looking forward to the (near) future. It’s why Scrum offers opportunistic events more than obliges (what we generally know as) ‘meetings’. Scrum’s events provide people with an opportunity to incorporate change into the daily work, instead of locking it out. The old notion of ‚change’ dissipates. Change becomes natural, the regular way of doing business, even a welcome source of ideas and innovation. Change is used in a team’s or an organisation’s advantage. 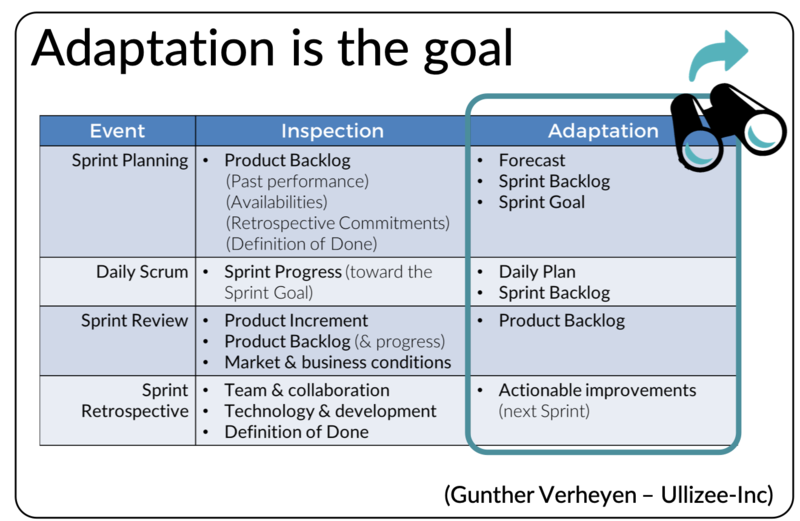 Scrum’s events define the frequency at which inspection and adaptation takes place. Scrum’s artifacts hold the primary information to inspect and adapt. 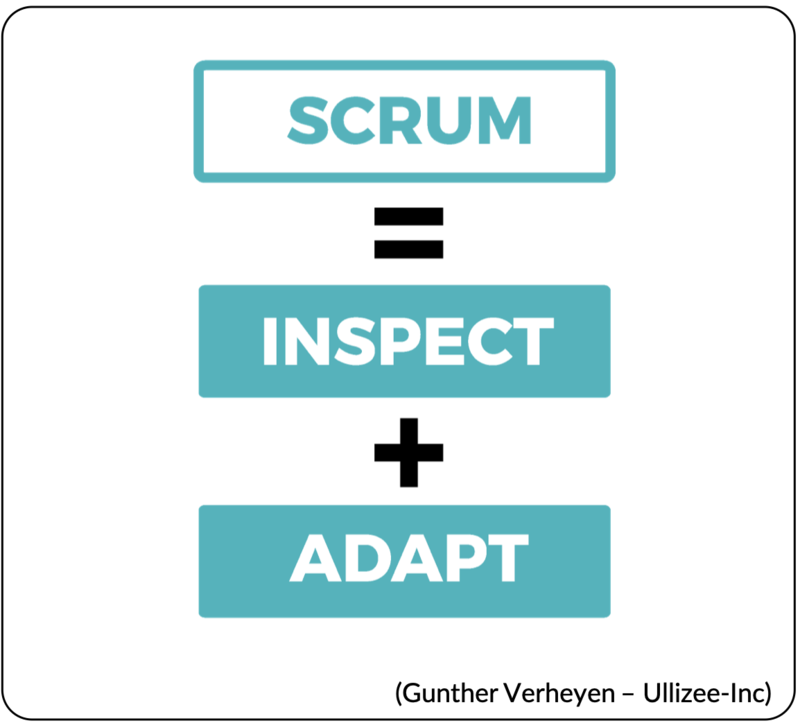 Scrum’s teams are the inspectors, the people accountable for performing the inspections and adaptations. In Scrum all work is organized in Sprints. Sprints deliver releasable Increments of software. A Sprint is a time-boxed feedback loop in itself, a container event containing the above Scrum events. Deciding over Sprint length is a different decision from the perspective of inspection and adaptation. The Sprint length determines the frequency at which stakeholder input is formally gathered and shared with the full Scrum Team. It’s the minimal frequency at which organizational or market changes can be incorporated, the last possible moment to decide on releasing software to collect feedback so it can be adapted to, to decide what the most valuable work is to work on next. When Sprints are too long, important opportunities that require adaptation may be missed. When Sprints are too short, the ability to get significant work done might be lost. The time-boxes for all events, as set by Scrum, provide focus. It avoids the creation of waste. It focuses people’s minds on collaboration and importance. 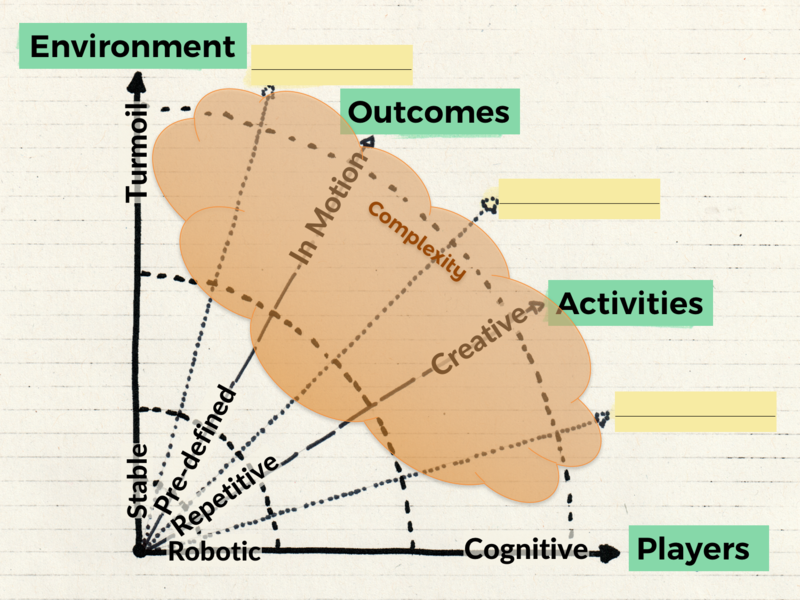 Scrum frames the creativity of people. Scrum provides boundaries that re-inforce self-organization. Scrum says not how to run the events. Scrum defines the input to the meetings, the expected outcome and a timeframe. Self-organization is an essential management principle of Scrum. Yet, its importance and potential are only seeping through slowly. Despite the wide adoption of Scrum. 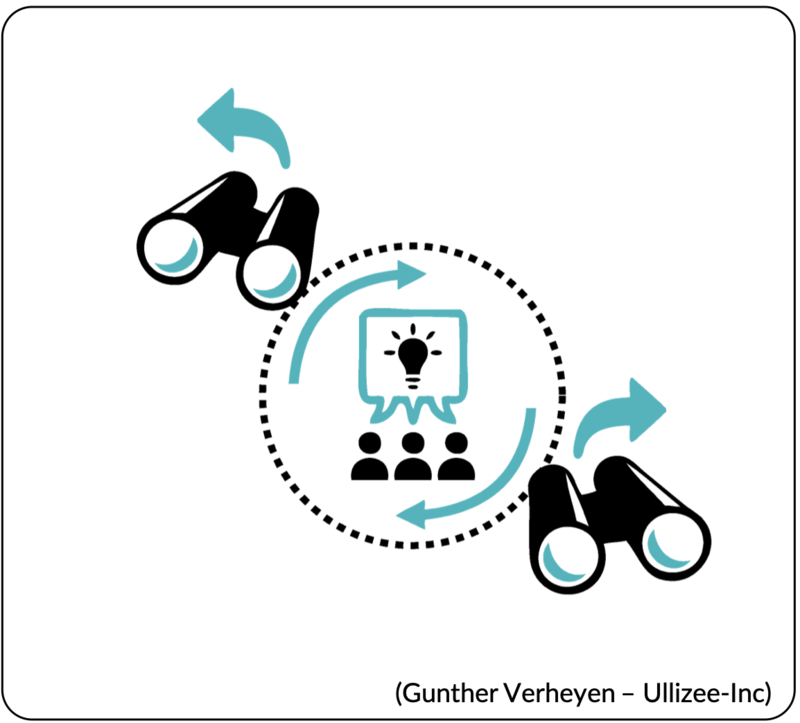 The most basic form of self-organization in Scrum holds that Development Teams organize and manage their own work within a Sprint, autonomously, against a forecast and a Sprint Goal. Where acceptance of this practice grows, few organisations take it a step further. Few teams are supported to figure out their own team size in order to best collaborate towards the creation of a releasable Increment of product in a Sprint. Understanding that the foundations for great work are commitment and motivation, Development Teams should be able to also create and re-create their structure and composition across time. Collaboration is key. From collaboration performance emerges. Teams have the highest cohesion, the deepest trust and the most effective interconnections when the size of the team is around seven. Scrum used to have the rule known as 7 +/- 2, meaning a Development Team was expected to have at least 5 people, and 9 at most. The Scrum Guide has evolved this guidance to 3-9 people. This is confusing when looking for academic exactness, less confusing if this is seen as guidance against the goal of being “small enough to remain nimble and large enough to complete significant work within a Sprint“ (quote from the Scrum Guide). Although the Scrum Guide sets an expectation for the size of a Development Team, there’s no formal process needed to really enforce this if self-organization is enacted. Through self-organization a team will adjust its size autonomously for optimal performance. Rather than instructing a team on their mandatory size, help a team discover what works best for them, including what team size maximizes the communication bandwidth. No external body can do this better. No external body can assess the combined effects of team dynamics, being co-located or not, availability of people and resources (tools, infrastructure), and all other parameters better than the people actually doing the work. Teams express this ‘past performance’ often as ‘Velocity‘. Although not mandatory, it is a good tactic to apply in Scrum. Many organisations adopt Scrum to be more agile, to increase their agility. Agility with Scrum is achieved through the creation and frequent release of Increments of software. 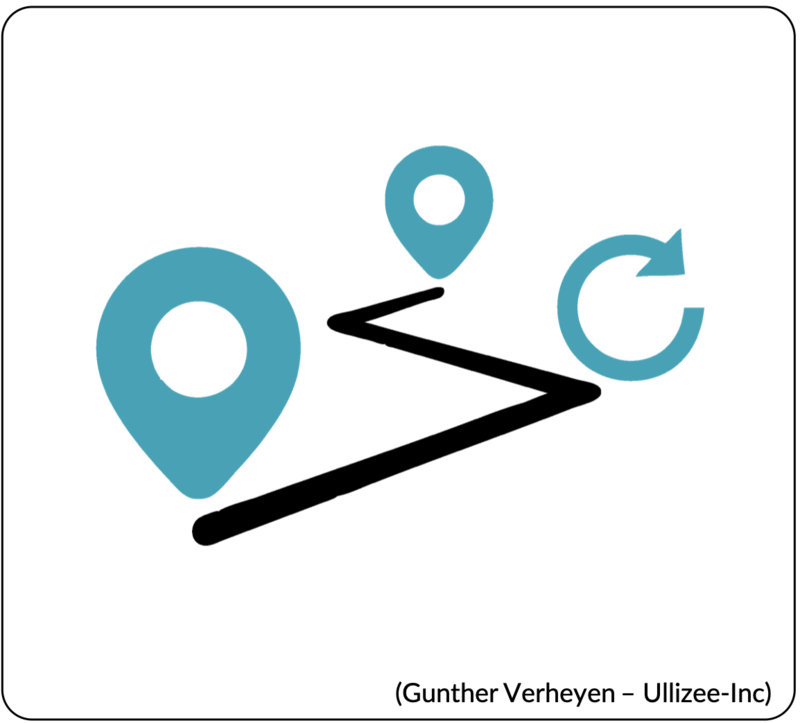 In the face of the purpose of increased agility through Scrum, the best definition of Velocity in Scrum actually is a measure of a team’s ability to produce releasable software in a Sprint. Having no releasable software by the end of a Sprint is… zero velocity. In the face of the purpose of increased agility through Scrum, it doesn’t add much value to discuss Velocity when no releasable software is created throughout a Sprint. There are probably more serious problems to resolve first. 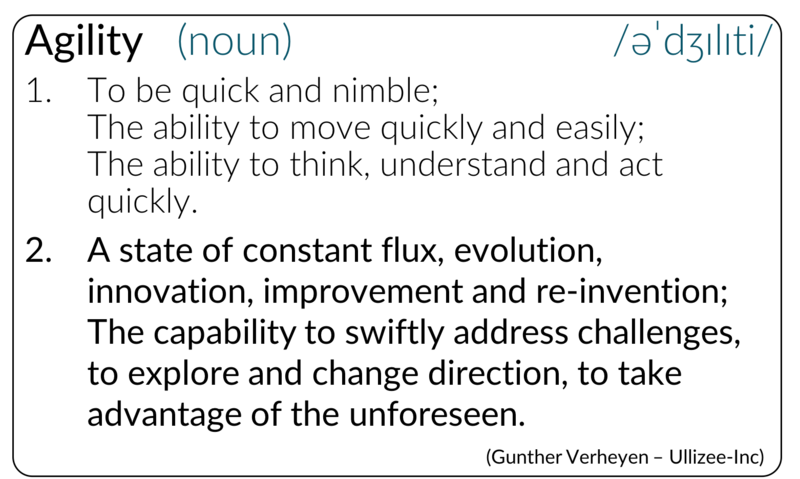 Discussing the standardization, normalization, industrialization, equalization of Velocity is futile, at best highly sub-optimal, in the face of striving for agility with Scrum. In the absence of the capability to produce releasable software every 1-4 weeks, such discussions do no more than distract from more serious problems to solve first. You can obviously measure the Velocity of creating undone software, and be more predictable in making progress creating undone software. Keep in mind that it may be an obfuscating indicator, not a measurement that increases transparency.